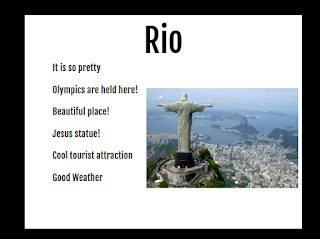 W.A.L.T: Locate and use a range of texts for specific purposes. 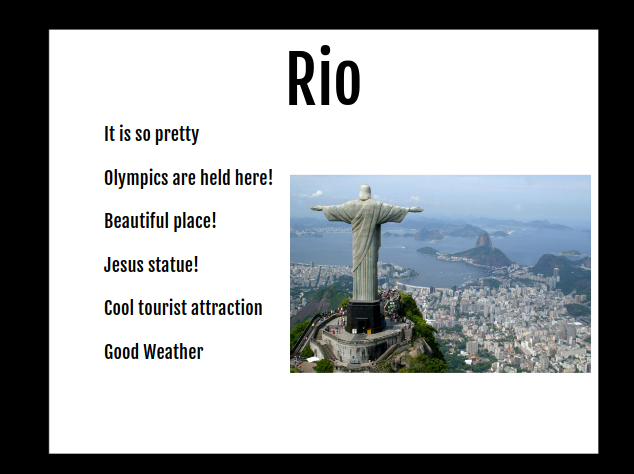 We had to create a poster advertising that people should come to Rio. I liked the image you put in and all the facts you put in. I thought maybe you could have made them into sentences.